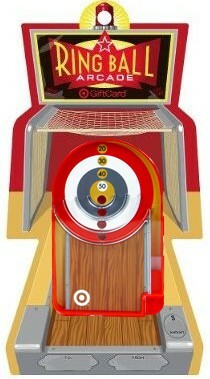 I love skeeball..how cool! Thanks for the chance to win!! I love the Totally Target site! How cute! Count me in please! I love your site. Thanks for all of the great money saving finds! ‘LIKE’ totally target on facebook! going to target tomorrow, would love a great gift card for next time! My dad loves pinball, this would be so cool!!! This is so cool that you do this for everybody!!! Skeeball is my favorite game!! Thanks for an awesome giveaway!! Love the card this time! Yay, I love these gift cards! So neat! This is my favorite giveaway! I would LOVE a $50 giftcard!